The best vacations should be an escape from everyday life to refresh the body and soul through a mind-body experience. Over the years, your escape vacations have been with family or significant others and may have focused on sightseeing, beach, or mountain trips. 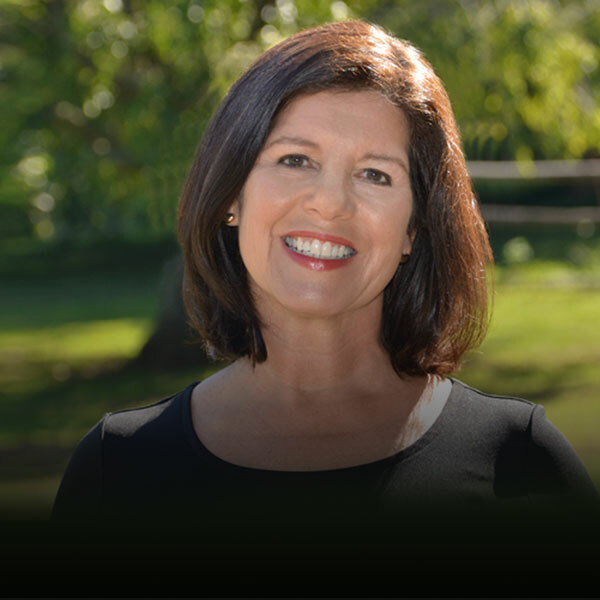 All of that was fun, but now, it may be the time to choose a new the me and focus on your own well-being. You’re in luck with the new wave of resorts heralding wellness and mind-body health, while also combining unique local experiences and gourmet meals with relaxing spa experiences and exercise programs. 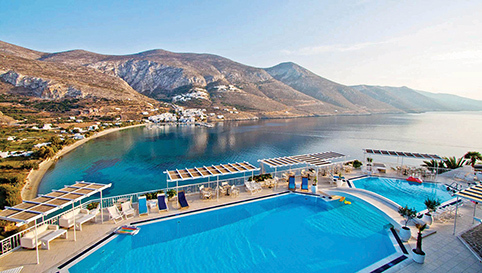 What better way to rejuvenate than to take a vacation to the Aegialis Hotel and Spa—a gorgeous hotel and spa set on a Greek island in the sparkling blue waters of the Aegean Sea. Greeks have long known the secrets to achieving healthy lifestyles. . . Maybe it’s the Mediterranean diet, rich in olive oil, fresh fruits, vegetables and whole grains. Or maybe it’s the appreciation that Greeks have for celebrating life, the importance of family, and social connections. It may also be for their knowledge of wellness therapies such as salt water therapy and other wellness remedies inspired by the sea. 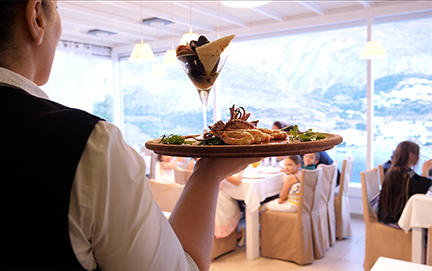 To explore achieving a healthy lifestyle, a trip to the five-star Aegialis Hotel and Spa on the island of Amorgos should be on your vacation list. . . 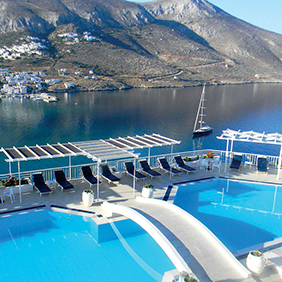 The Aegialis Hotel and Spa is a luxurious oasis of 55 guest rooms overlooking the sparkling blue Aegean Sea. The hotel offers two restaurants serving organically grown produce from its own garden. Free buffet breakfasts are part of the stay. Relax at one of the three bars or lounges while taking in the view. There are both indoor and outdoor pools to dip into and a full health club. 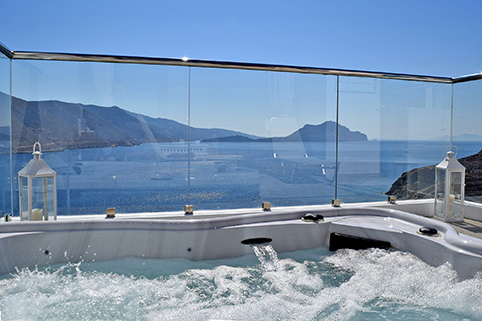 According to owner Irene Giannakopoulos, the name of the spa was inspired by the mythological story of the ancient water oracle dedicated to the god Apollo. Visitors sought clarity and answers in prophetic water readings. The spa menu, designed to help the guest maintain a healthy and sustainable lifestyle, includes Chi Nei Chan (abdominal therapeutic massage); traditional Thai massage; reflexology; cranio sacral therapy; nutrition, holistic health, and lifestyle coaching; and meditation. The spa works with local herbs and natural organic products. Indulge in the Swedish sauna, the seawater pool, and whirlpool for total relaxation. Enjoy the pleasure of soaking in the outdoor jacuzzi while nibbling fresh fruit, local olives paired with a refreshing healthy shake from the spa bar, or a glass of champagne. 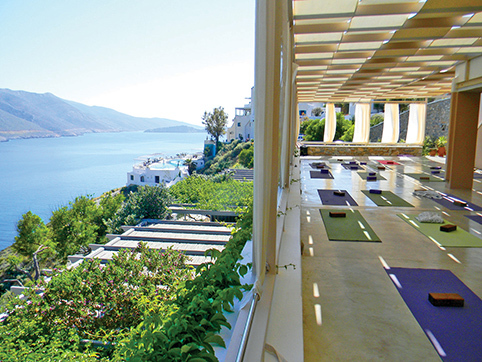 The gorgeous outdoor space with a pergola cover for yoga overlooking the water provides an incomparable spot for yoga. Because of this extraordinary site, the hotel is now the host of the annual Elysia Yoga Convention—a gathering of yoga instructors, nutritionists, life coaches, and therapists from around the world. 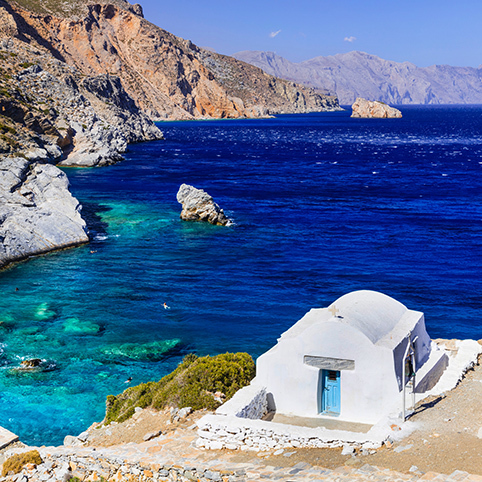 The over 48-square-mile island of Amorgos is the eastern-most of all the islands in what is known as the Cyclades—a group of islands in the Aegean Sea, located southeast of the mainland. Sparsely populated with under 2,000 residents, the island is idyllic for exploring ancient Greece with its ancient towers and tombs. Built in 1017 and later renovated in 1088, the Monastery of Panagia Hozoviotissa is a stunning site because it hangs off a cliff some thousand feet over the sea. The monastery was built to honor Grace of Panagia, known as the Virgin Mary and patron saint of the island. It’s about 6 miles from the hotel and definitely worth the visit. Near the monastery is the rocky beach where portions of the film Big Blue were filmed. Agia Anna Beach is about a half-hour walk from the monastery and is the perfect spot for a picnic. This medieval capital of Amorgos has a population of a little over 400 people who mostly work in the fishing and tourism industries. 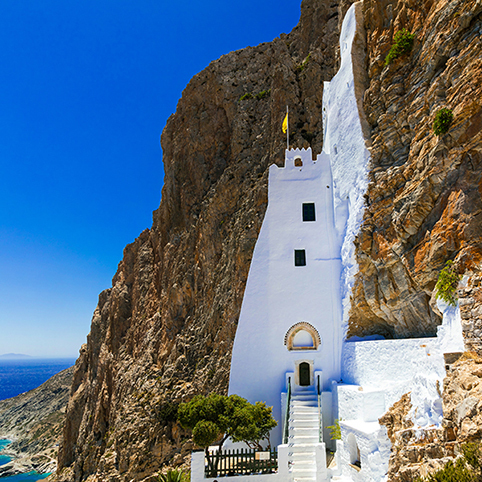 The charming village of Amorgos Chora Village is the second largest port on the island and is particularly picturesque with its whitewashed houses, cobblestone streets, windmills, churches, and small cafes. The village is used as a hiking trail starting point by many visitors. To reach this island of the gods, fly into Athens and enjoy the ferry across the Aegean Sea to the hotel, which takes up to nine, peaceful hours of gorgeous views.